A direct channel to our technical department, with maximum priority. Advanced Support service dedicated to you. 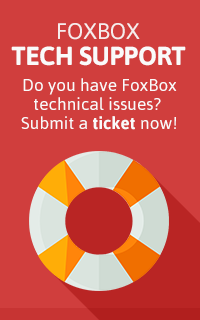 By purchasing a FoxBox device you will obtain the right to use free of charge our support services for up to one hour, and with standard priority (except warranty assistances, ref. Terms and conditions). Or in case you want a reduced response time for your inquiries, the Advanced Support packages are the perfect solution. This additional support will allow you to have one of our technicians specifically dedicated to you (in remote) for the time agreed in the contract, which carries out the tasks you need. Thus, your requests will be followed in high priority (within 1 hour) and with a strong orientation to its resolution, which must in any case be previously agreed and defined in a comprehensive way with our developers. Remote access to your device (via SSH, Teamviewer, etc.). 24H: support for three business days (not necessarily consecutive), in order to manage in the best way your implementation, and the next phases of testing and release. ANNUAL: the safer support plan, particularly suitable for large and complex implementations, for which you will need a technician always available and highly responsive even in the months after the final release.